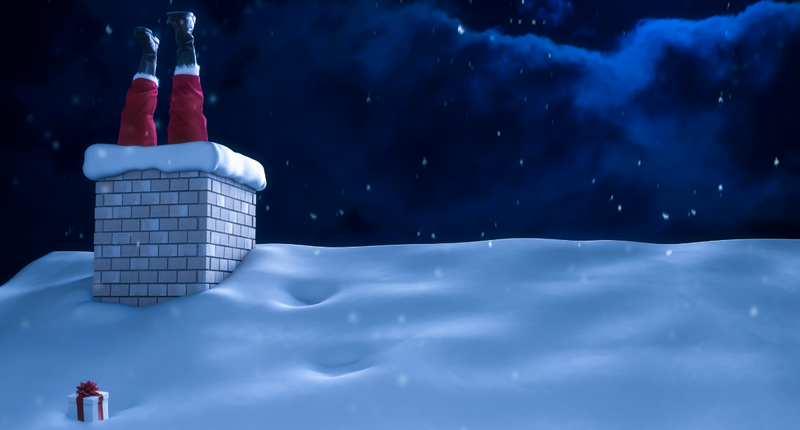 The tradition of Santa Claus entering people’s homes through the chimney goes back to pre-Christian times when European folklore characters were believed to use the chimney to deliver gifts to children. When Europeans migrated to North America in 1800s, the tradition followed. Because the winters were so bitterly cold, it wasn’t wise to leave the doors or windows open just for Santa to come in. Chimneys, however, were always open and didn’t let in cold air. So why not have Santa squeeze his belly (that, don’t forget, resembles a bowl full of jelly) and make him come down the chimney? It just made sense. Unfortunately, what European settlers didn’t think of is the risk of having a chimney fire. The likelihood of which is high if you don’t properly maintain your chimney. Lucky for you, you can find out from Chimney Safety Institute of America (CSIA) why chimney fires occur and ways to avoid them for both your family’s sake and your children’s beloved holiday character: www.csia.org/chimneyfires.